Total Health Family Clinic in Hyattsville, District Heights, Rockville, Silver Spring, MD provides quality care to patients through the expertise of Dr. Ashkan Aazami. 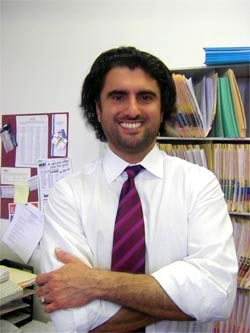 Dr. Ashkan Aazami is a board certified Chiropractor and a graduate of Cleveland Chiropractic College, Los Angeles. He started practicing Chiropractic in Los Angeles in 1991, and has been in private practice in Maryland since 1994. Additionally, Dr. Aazami has received advance training in diagnosis and treatment of whiplash and industrial injuries.He is certified in performance of Permanency Evaluations, and is a member of the American Chiropractic Association. Call our office at (301) 322-7777 for an appointment today!